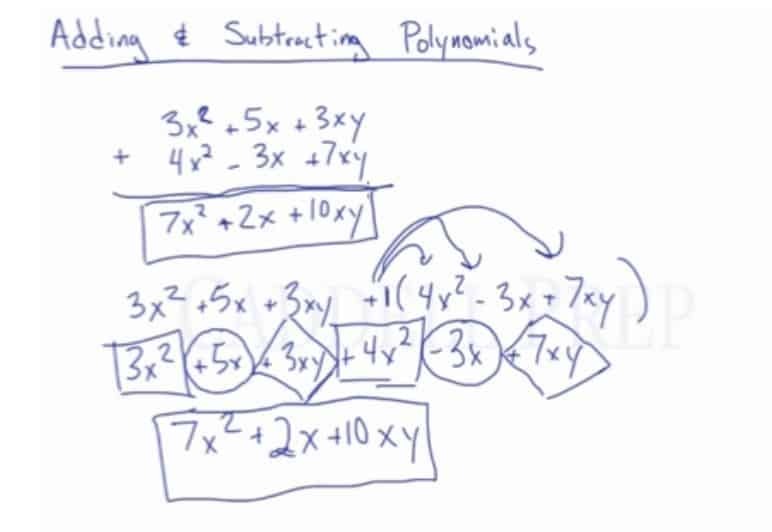 In this video, learn how to add & subtract polynomials by combining like terms. 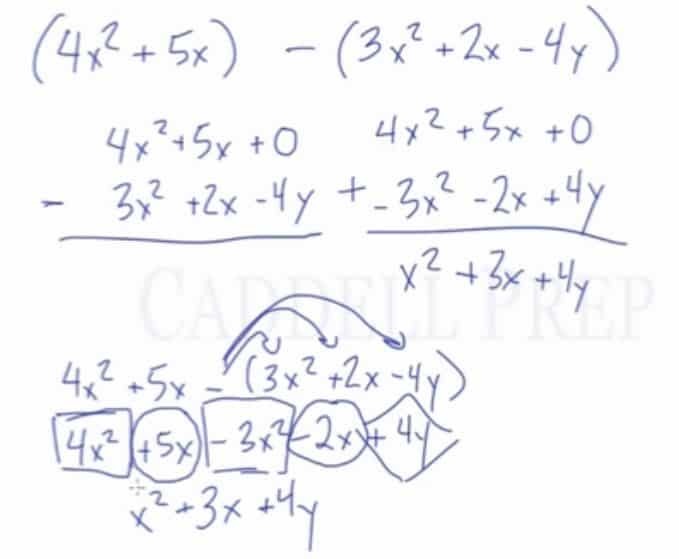 In this video, we are going to look at adding and subtracting polynomials. Now, let’s discuss how to add and subtract polynomials. It’s helpful to align the like terms so its easier to combine them. Now, we distribute the sign. It’s like we have at the beginning of the polynomial inside the parenthesis. Then, look for the like terms and combine them. We got the same answer as the first. Let’s look at an example which involves subtraction. Since we’re subtracting polynomials, we should do keep-change-change. Let’s keep the top the same. Then change the overall minus sign into addition. Lastly, we change the signs of each term. Now, let’s do this on a straight line. Let’s distribute the negative sign into the polynomial in the parenthesis. Just like there’s a at the beginning. Let’s solve this using the two-row format. Since there’s nothing above the , we can put in as a place holder. Then, let’s do keep-change-change since we have subtraction. Let’s distribute the negative sign into the polynomial in the parenthesis. And we got the same answer.